Dr. Hanson is an Associate Professor in the Department of Medicine. She graduated from Harvard Medical School in 1986, and trained in Internal Medicine at the Brigham and Women’s Hospital in Boston. She completed fellowships in Geriatric Medicine and in the Robert Wood Johnson Clinical Scholars Program at the University of North Carolina. In 1991 she was awarded an MPH degree in Epidemiology from the UNC School of Public Health. 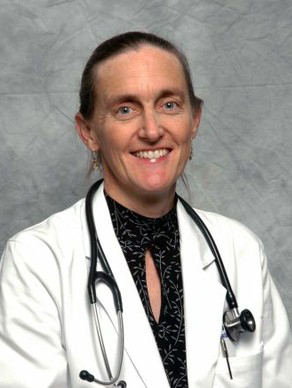 Dr. Hanson is co-Director of the UNC Palliative Care Program. Her research interests focus on the application of health services and clinical epidemiologic research methods to understanding of health care communication and decision-making for seriously or terminally ill patients. Current research includes a study of the impact of Health Advisor training for African-Americans with advanced cancer, a randomized controlled trial to improve decision-making about tube feeding, and two studies of the development and application of quality of care measures for patients in oncology, critical care and geriatric care settings. 2003 Book of the Year Award from the American Journal of Nursing, for Henderson M, Hanson LC, Reynolds K. Improving Nursing Home Care of the Dying; Springer Publications, 2003. 2006 Ewald W. Busse Award for work with significant impact on enhancing the health of older North Carolinians. 2006 T. Reginald Harris Award, to the North Carolina physician with outstanding achievements in the areas of health care quality and service to the medical community.